This is the story of how a 12th-Century fortress became the world's most loved art museum. And what's the best way become an adored cultural icon? Apparently by starting life as a military establishment. As Paris grew and transformed from a Roman trading center to the medieval capital of France changes to the city were made. In the 12th century King Philippe Auguste built walls around the expanding city of Paris, at that time the largest city in Europe. 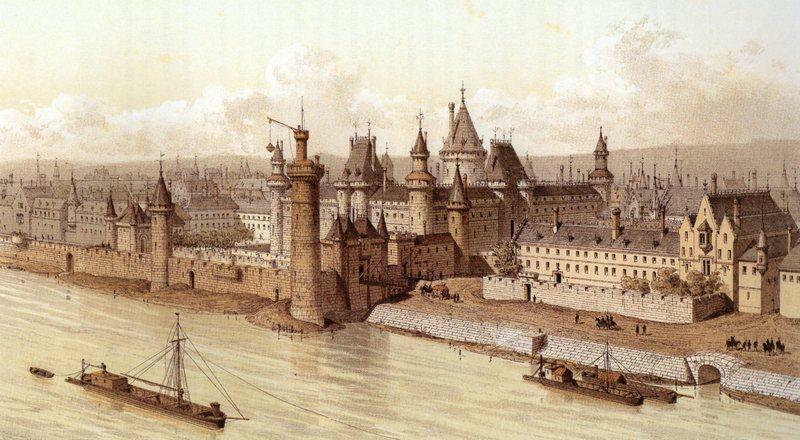 The royal residence was located on Ile de la Cité, but in 1190 a fortress was built on the Right Bank of the Seine to guard the waterway and to help protect the city and the center of government. It became known as the Louvre. The Louvre fortress occupied the southwest quarter of the current Center Square (Cour Carrée, the courtyard in the east part of the Louvre). It was roughly square-shaped, surrounded by a moat, and covered about 18,500 square feet. 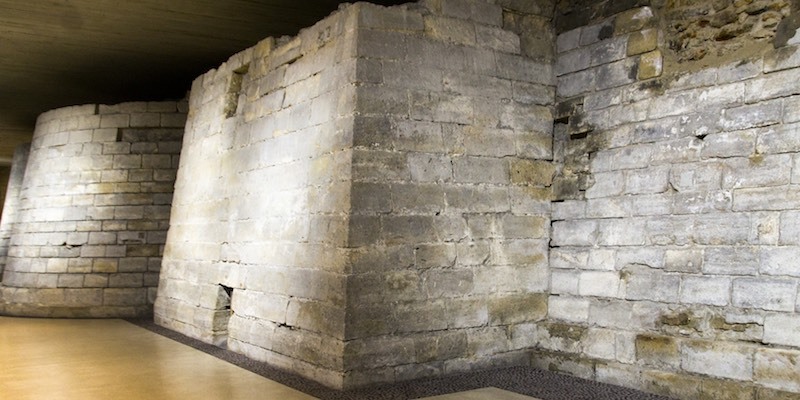 Parts of the original foundations can still be seen at the Louvre today. (Photo above.) In the center of it all was the Grand Tower. 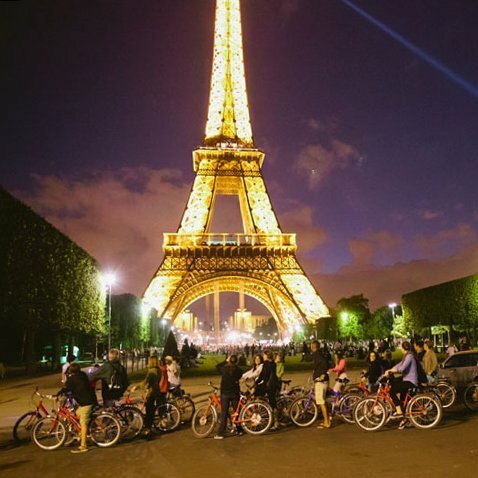 At 100 feet high it was the ultimate defensive structure in Paris. One of its main functions was to defend the downstream part of the Seine, the traditional route used by invaders since the time of the Vikings five hundred years earlier. In 1317 the Royal Treasury was moved to the Louvre. 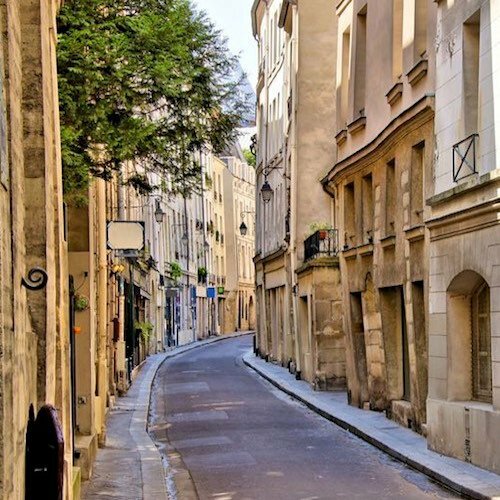 By the mid-14th Century Paris had expanded far beyond Philippe Auguste's walls. With the construction of new walls farther out, the Louvre no longer was needed for defense and, in about 1365, Charles V moved the royal residence from the Ile de la Cité to the Louvre, transforming it to suit its new regal purpose with ornate rooftops, carved windows, spiral staircases, and a grand garden at the north end. 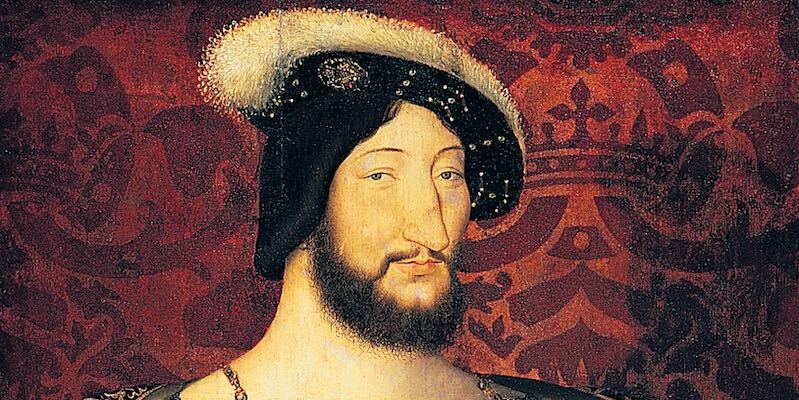 Francis I ruled France from 1515 to 1547 and spent much of his time transforming Paris into the foremost capital city of Europe. It was Francis who built the first city hall for Paris, Hotel de Ville. 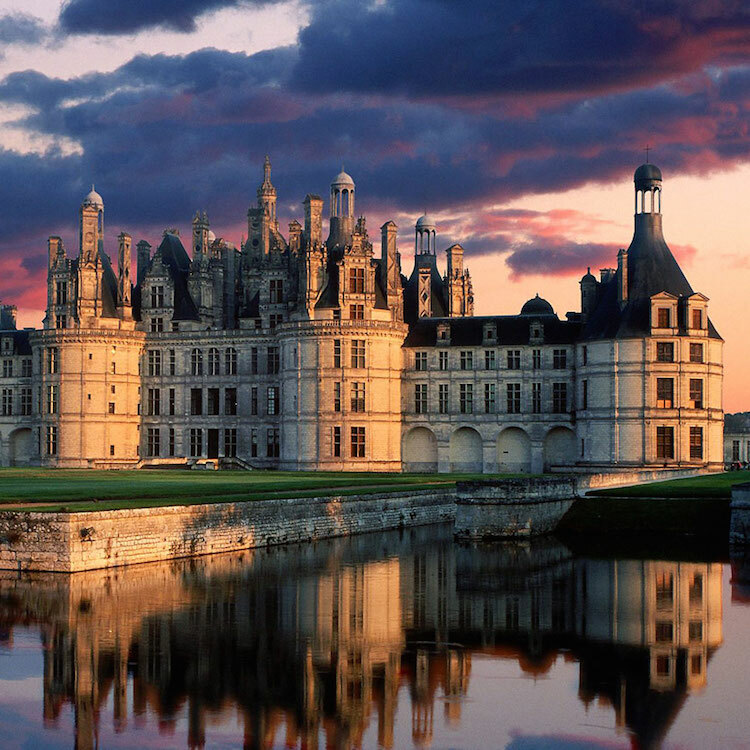 In 1546 he began the transformation of the Louvre fortress into a luxurious residence. The Louvre was, by this time, the true seat of French government. No longer needed for defence, the Grand Tower was demolished, allowing more light into the building. The western part of the medieval walls were replaced by a wing in the Renaissance style. Francis I began collecting the art that would become the basis of the Louvre Art Museum, including da Vinci's Mona Lisa. The work was continued under the reigns of Henry II and Charles IX. The southern part of the enclosure of the original Louvre was also demolished to make way to for another Renaissance wing. Next – In Part 2 of the History of the Louvre we discover how the former fortress was transformed into a true regal palace.